The Department of Public Health and Preventive Medicine (DPHPM) reaches across the university with a commitment to educating students and conducting research in the broad disciplines of public health, preventive medicine, health promotion, and the health services for the communities we serve. 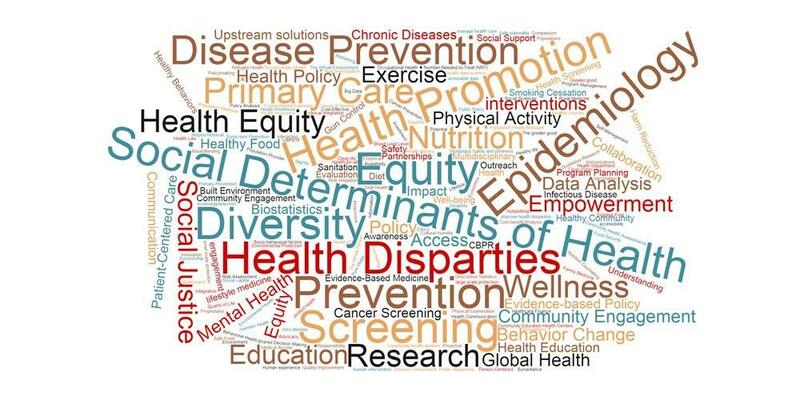 Faculty members from across the institution interested in population health are able to develop scholarly partnerships to better address community needs and enhance clinical research expertise. Existing alliances with local health departments, such as through the Commission for a Healthy Central New York, will be expanded by bringing scholarly resources together in a focused way. The CNYMPH Program prepares graduates to manage public health issues via a 42-Credit Master of Public Health degree program, as well as a 15-credit Certificate of Advanced Study in public health, and a joint MD-MPH program. CNYMPH faculty also provide biostatistical training to graduate students in the College of Graduate Studies. The Preventive Medicine program teaches the essentials of epidemiology, biostatistics, public health, clinical prevention , population-oriented prevention, health systems, health policy and evidence-based medicine throughout the four year curriculum in the medical school. The Center for Research & Evaluation functions as an analytic core facility that offers assistance and consultation on research design, methodology, analysis, and biostatistical consultation to the faculty, and researchers in Central New York. Last Modified: November 01, 2018. Contact Laura Schad with questions about the content of this page.